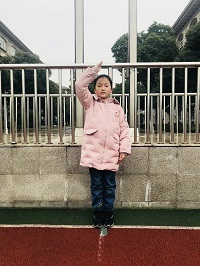 Hello,everyone!My name’s Chen Sihan.I’m from class 3,grade 3.I’m an outgoing girl and I always study hard. My favourite colour is purple because it represents dreams and my favourite animal is rabbit as it’s so cute. 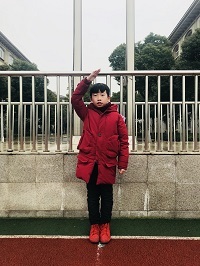 I enjoy playing the piano,drawing,reading and so on.Among all of these hobbies,I like reading best since it can bring me a lot of new knowledge. It’s my honor to speak here today.Every time I hear the national anthem,I feel so proud. I will face the sun and raise the bright five-star red flag as well as continuing to move forward! running,playing the guitar and so on . But my favourite hobby is reading . makes friends with me ? 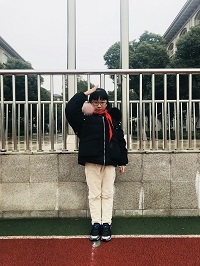 Hello, everyone！My name is Yang Xinmiao. I’m from Class 3 Grade 3. I’m ten years old now. My favorite color is red. I have got a lot of hobbies, such as reading books, swimming, playing table tennis and so on. But my favorite is reading books. Because books can give me knowledge. I’m a happy girl. Do you like me?